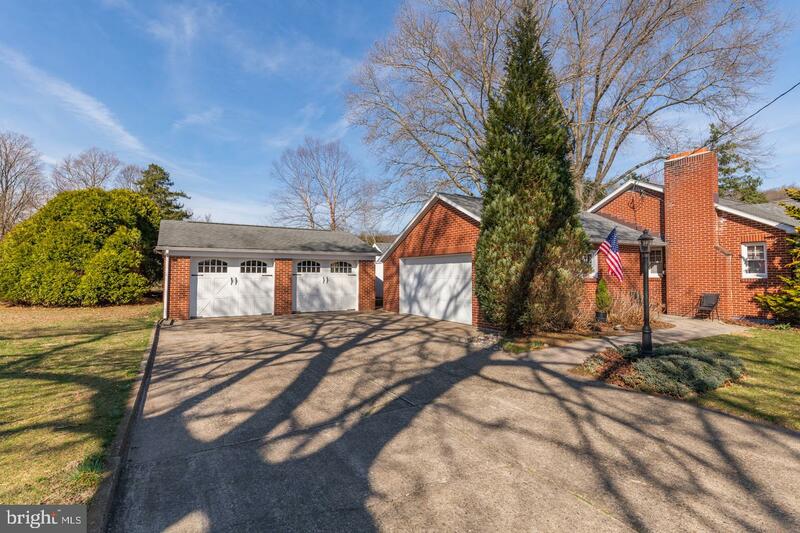 Absolutely Immaculate Brick 2-3 Bedroom Rancher sitting Beautifully above the Quaint town of Riegelsville.Outside You Will Find A Park Like Setting Along With Plenty Of Garage Space Featuring A 2-Car Detached Garage with So Much Storage Space As Well As An Attached Garage With New Energy Efficient Garage Doors. 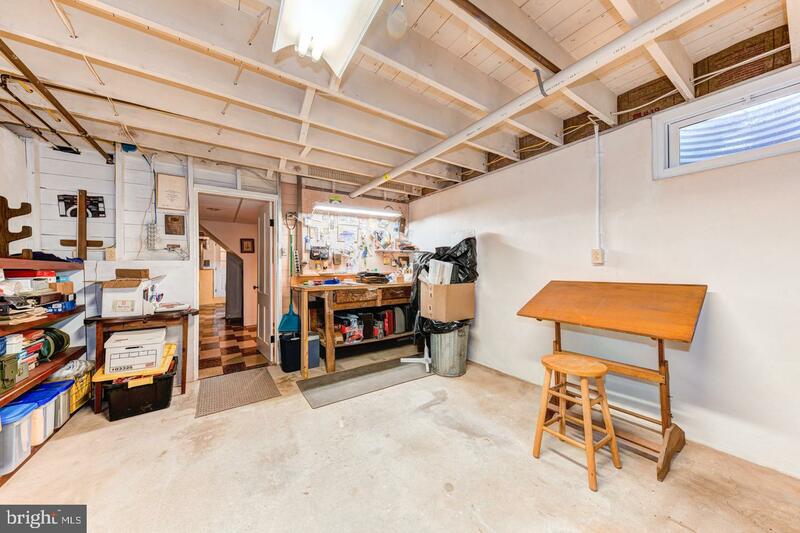 Great Space for the Car Enthusiast or a Workshop. 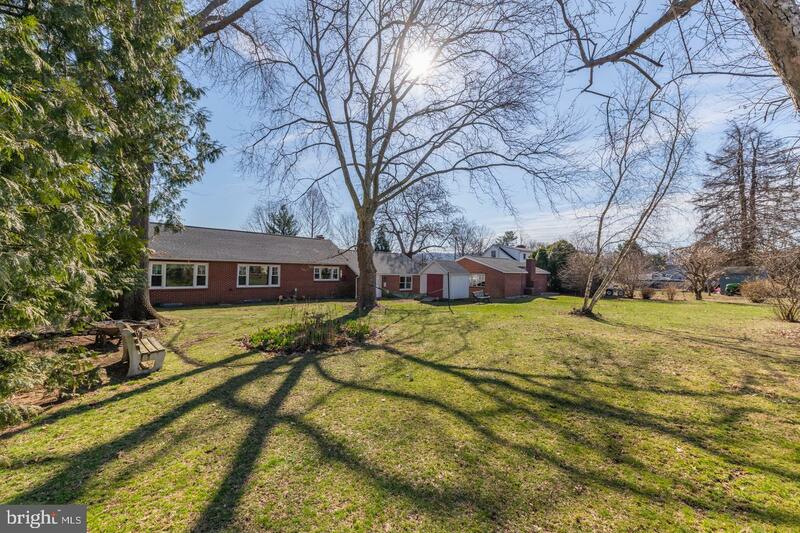 A Newer Roof On Both The Main House And Both Garages,New Ridge Vents,Facia, Gutters And Downspouts.Entering the Home, Enhanced by Post Lighting and New Walkways , You Will Find A Large Living Room with a Brick Fireplace , Hardwood Flooring, New Windows, Storm Doors,New Plumbing Upgrades With Buderus Hot Water Tank, Cozy Two Zone Hot Water Baseboard Heat, Upgraded 200 Amp Electrical Panel, Wiring, Receptacles with Switches, Hard Wired Smoke Alarms And Outside Light Fixtures. 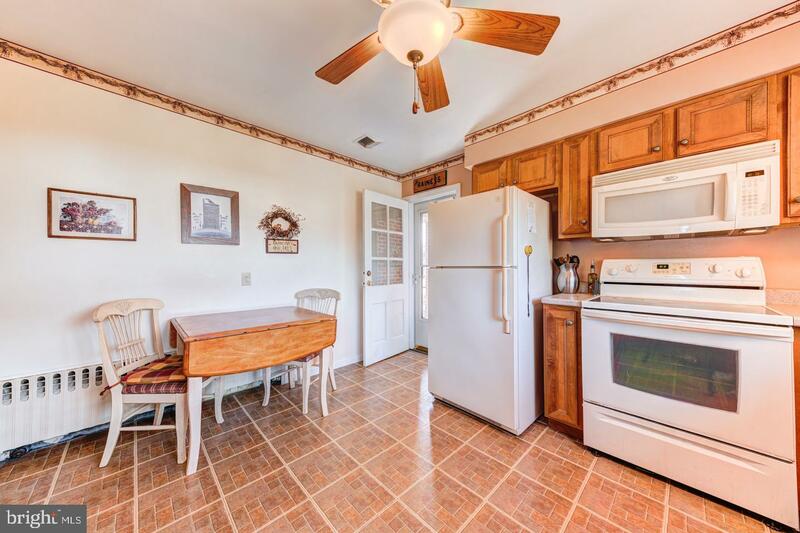 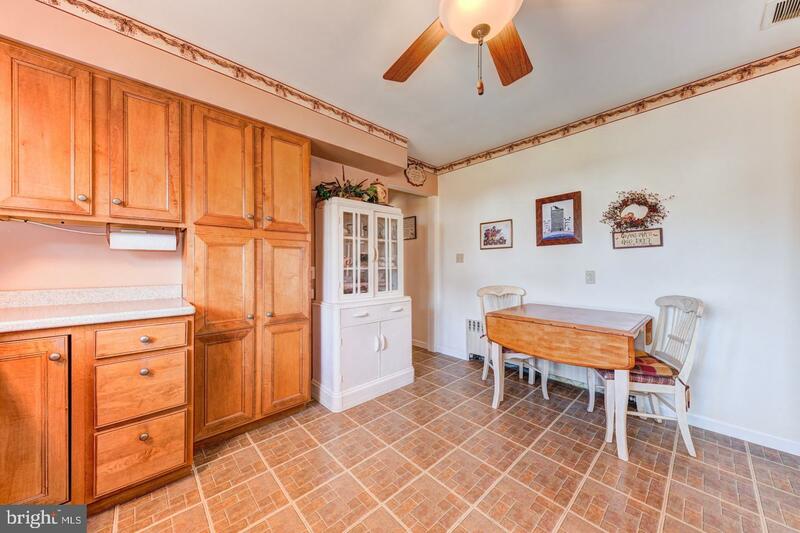 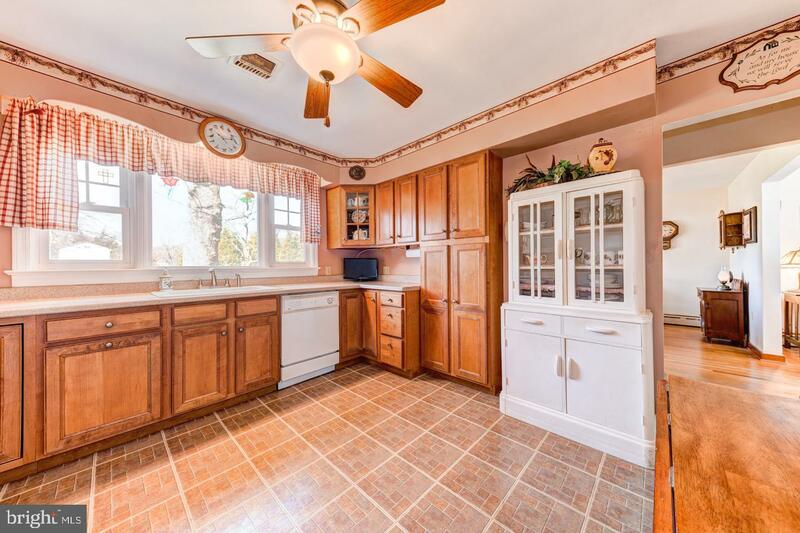 The Kitchen with Its Rich Butternut Cabinets With Ample Space Flowing into the Dining Area. 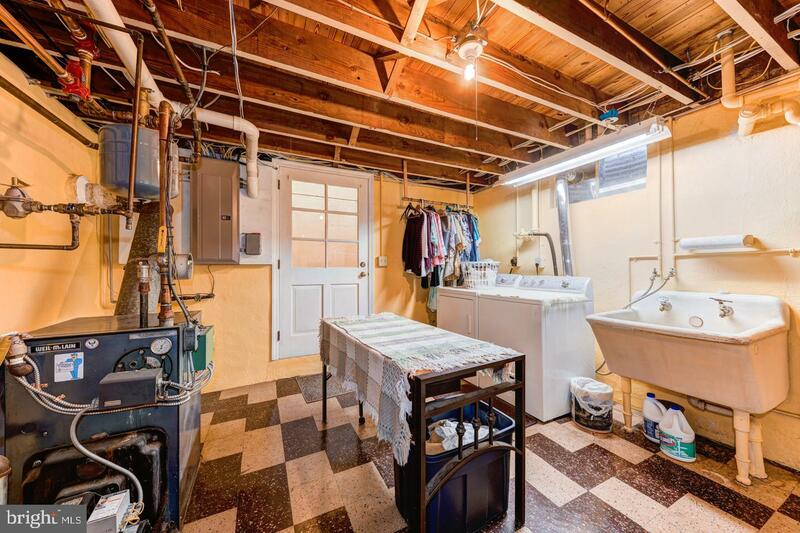 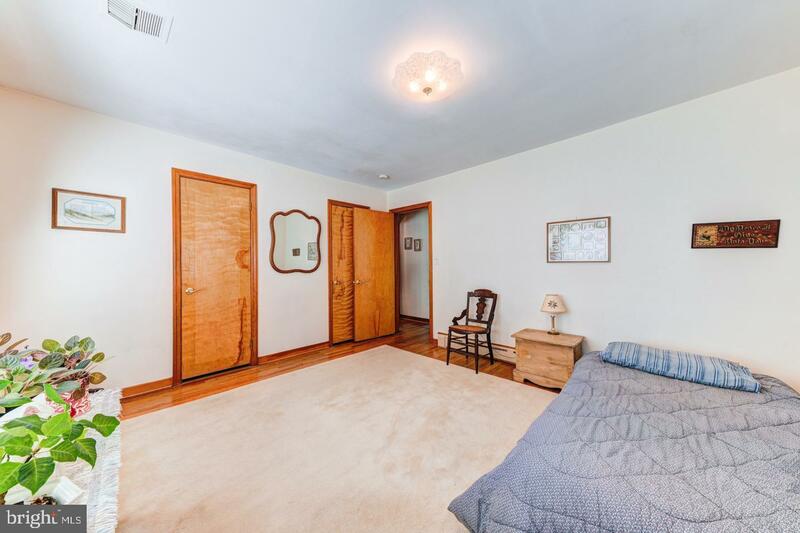 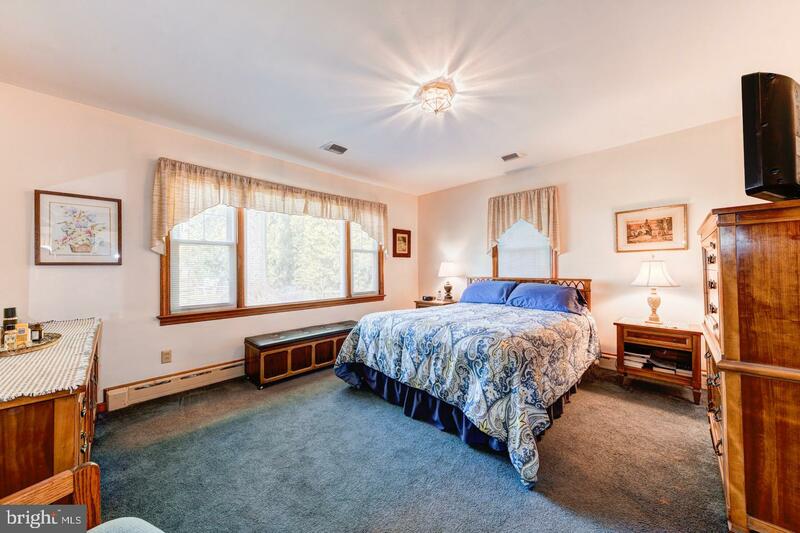 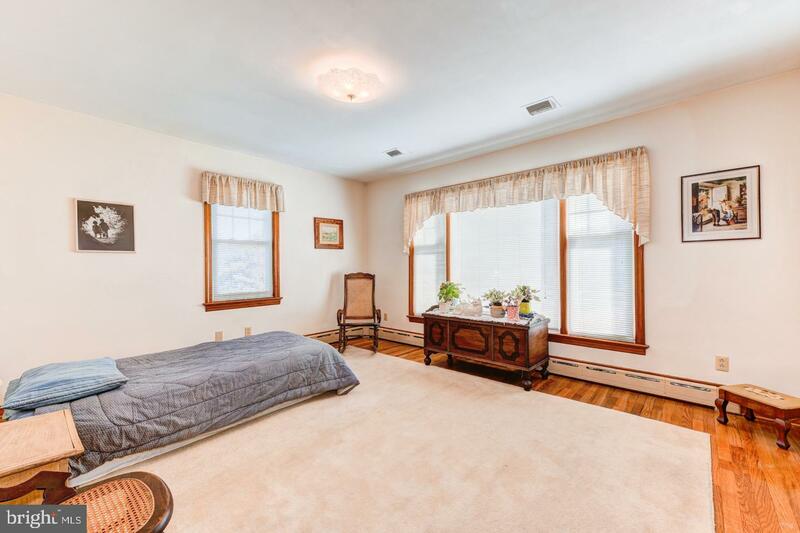 Two Nice Sized Bedrooms with A Tiled Full Bath and Plenty of Closets And Storage. 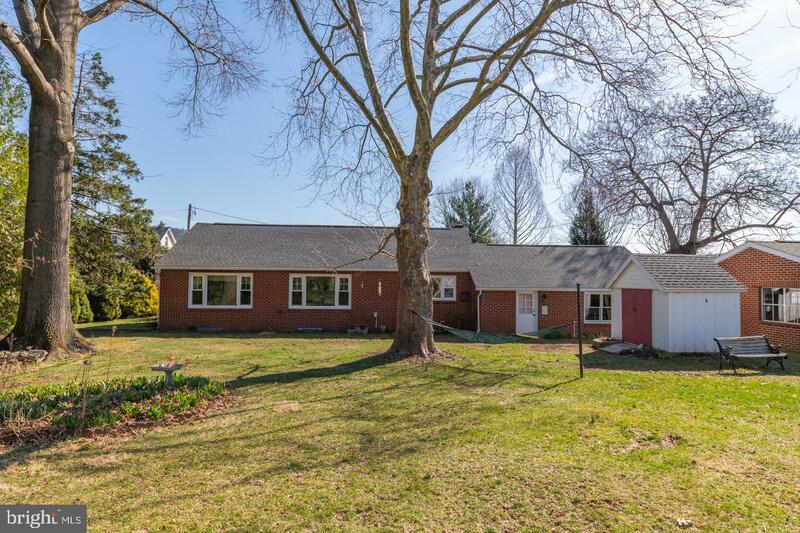 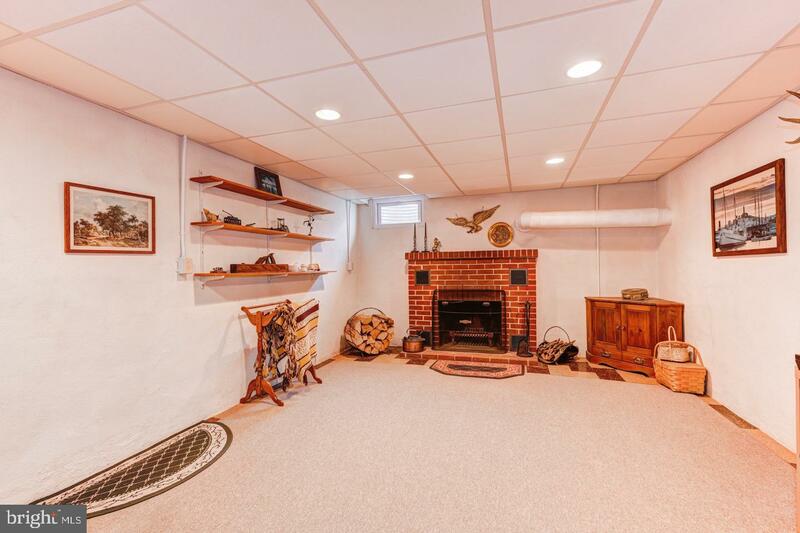 Heading Downstairs In The Walk-Out Basement You Will Find A Workshop, Laundry, Craft Area and A Possible 3rd Bedroom or Family Room with A Brick Fireplace, Large Closet and Half Bath. 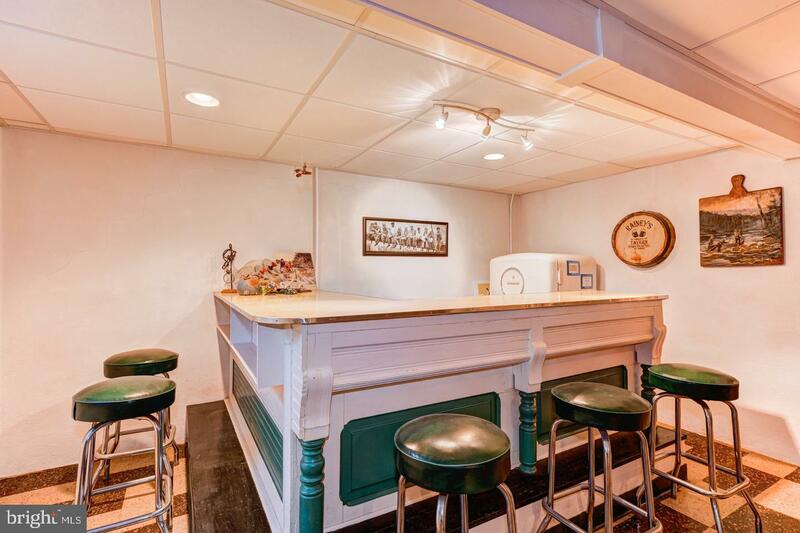 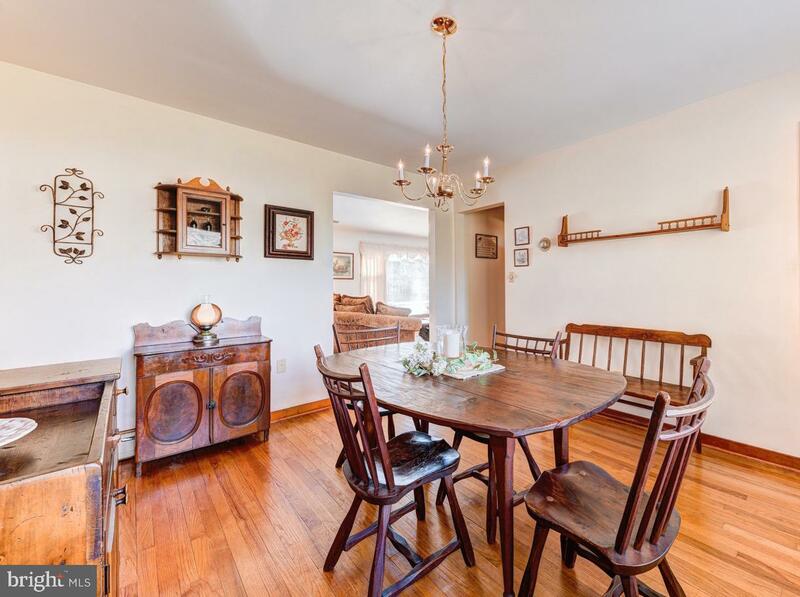 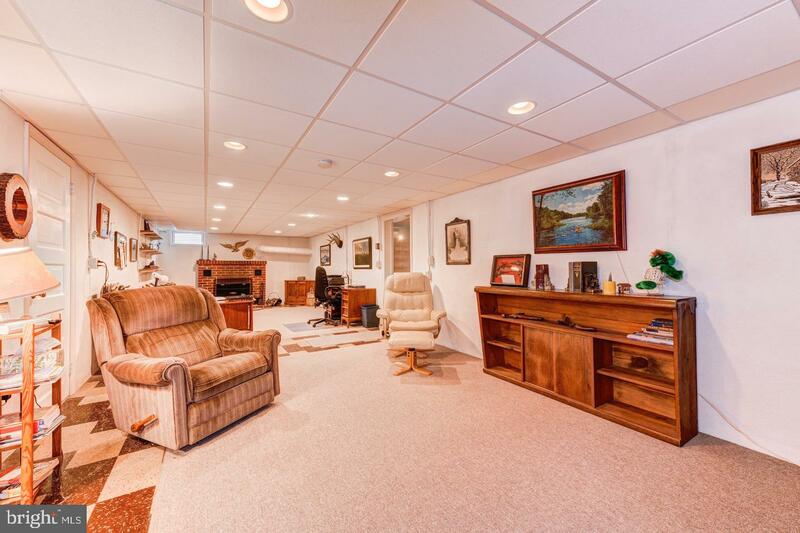 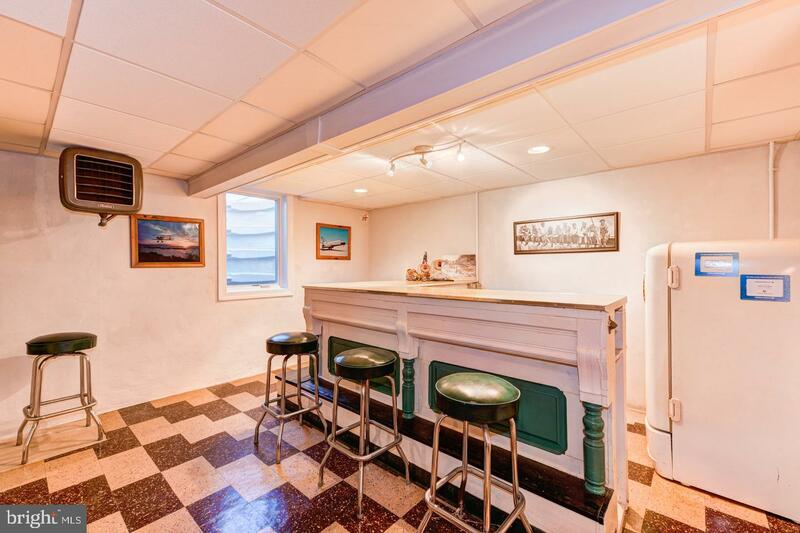 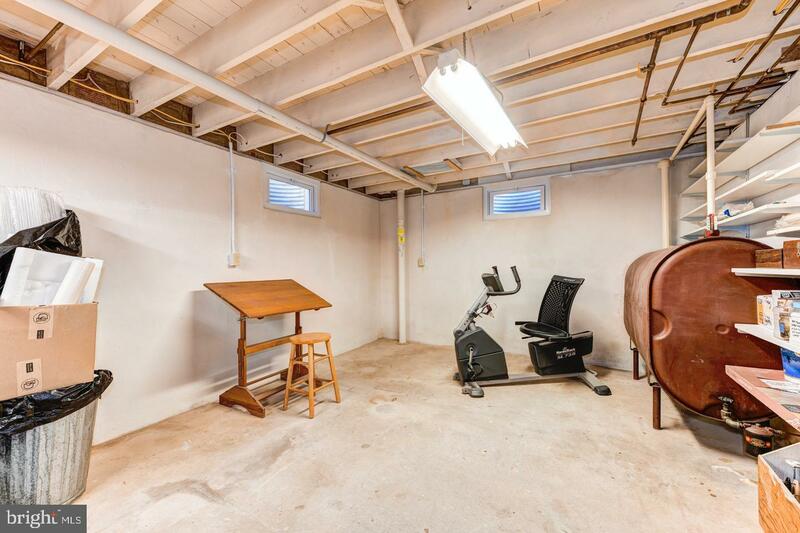 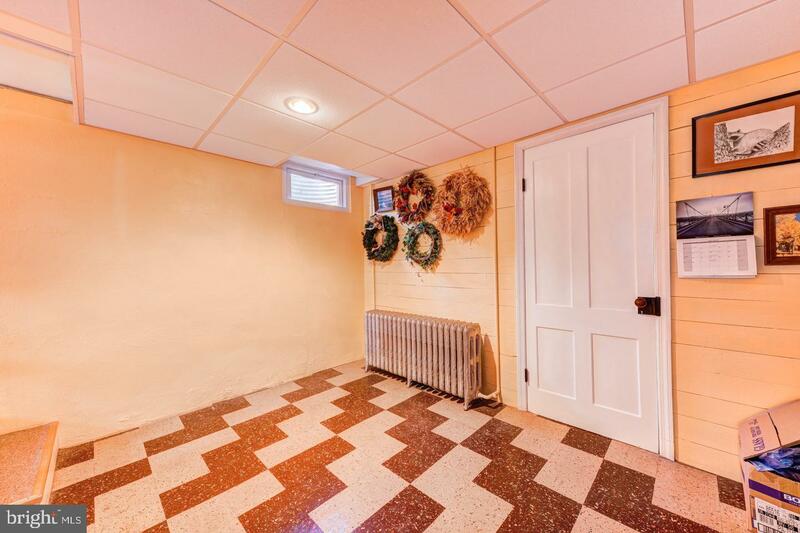 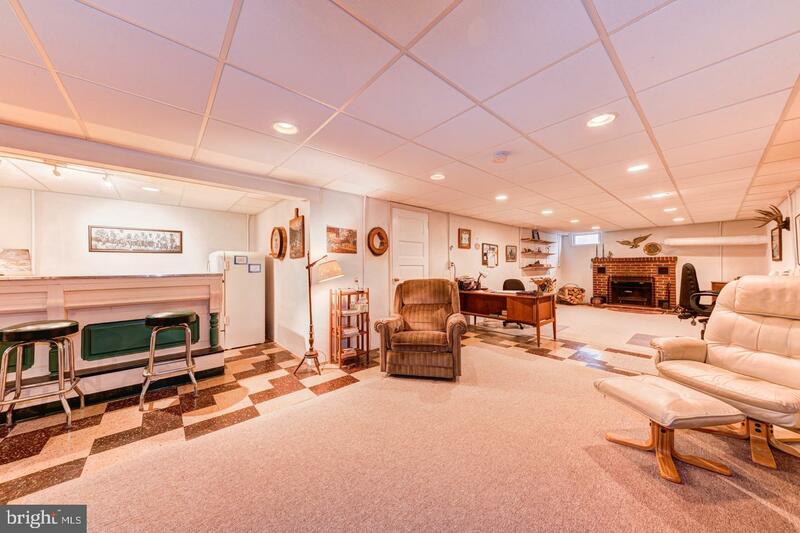 On The Other Side of The Basement , Great for Entertaining , Sits An Amazing Relic Bar From A Local Tavern Beautifully Maintained and Completely Redone. 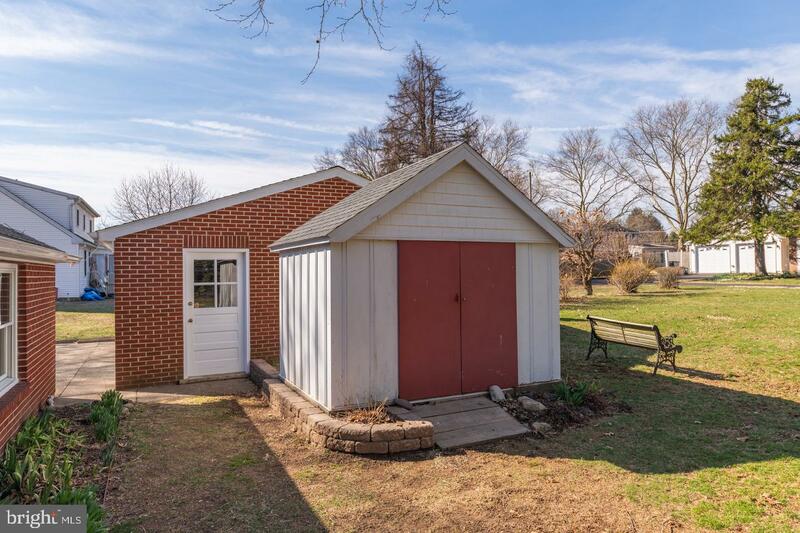 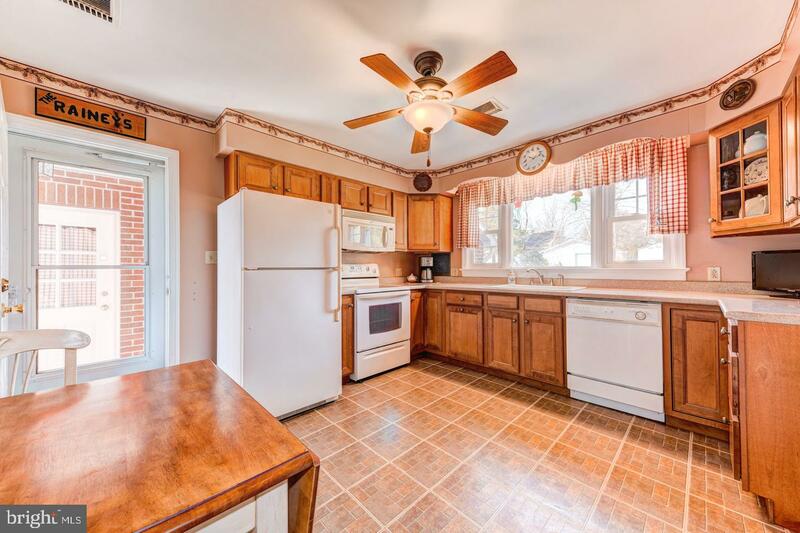 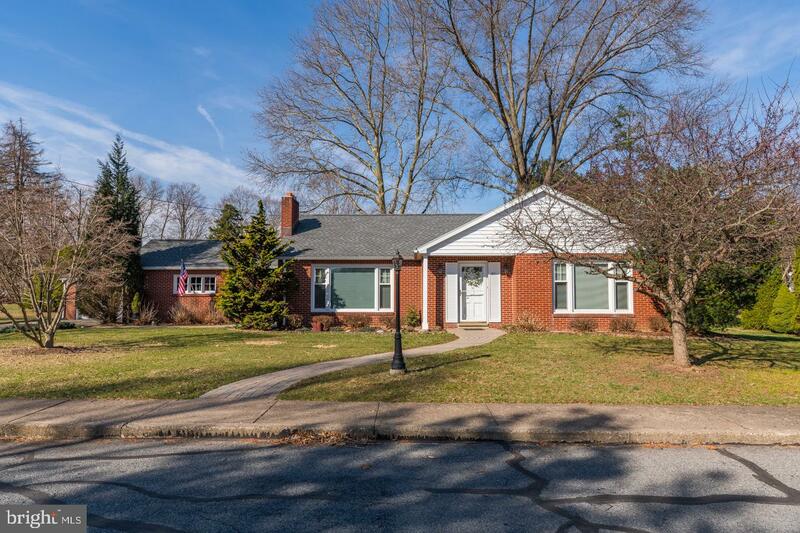 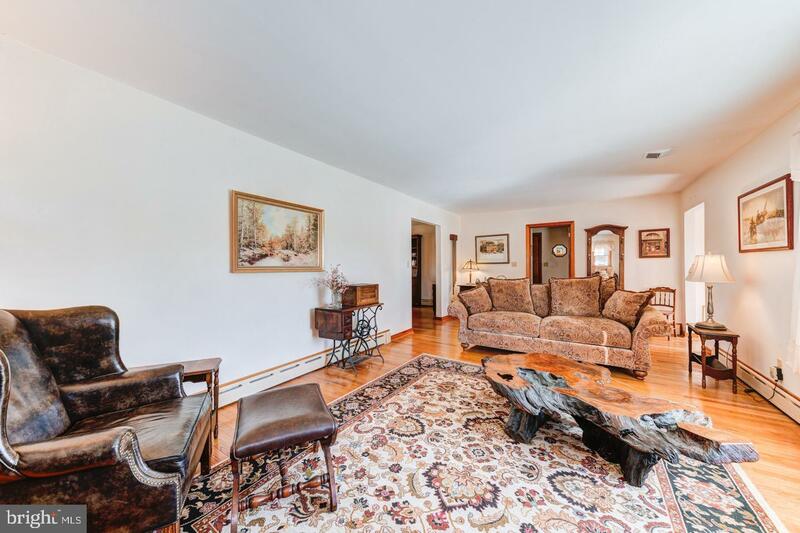 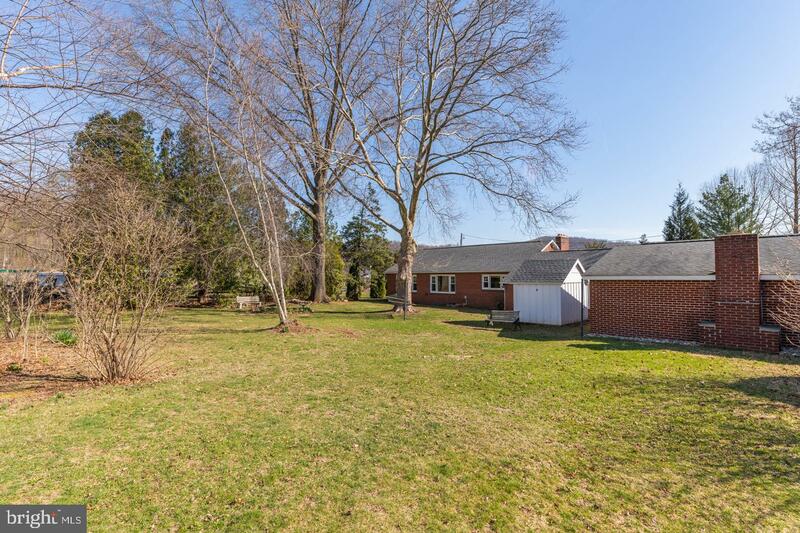 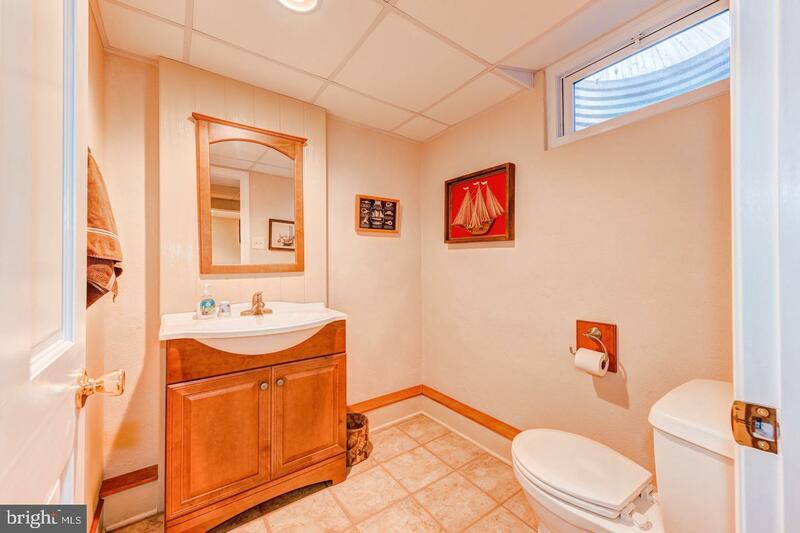 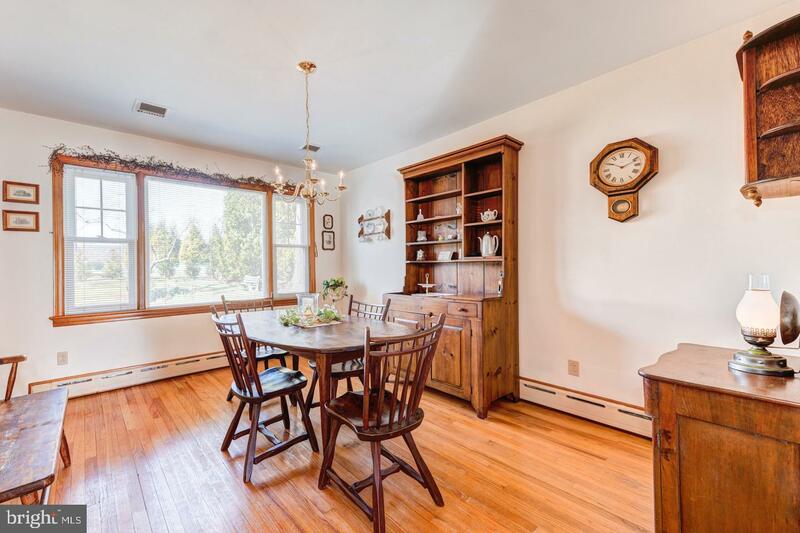 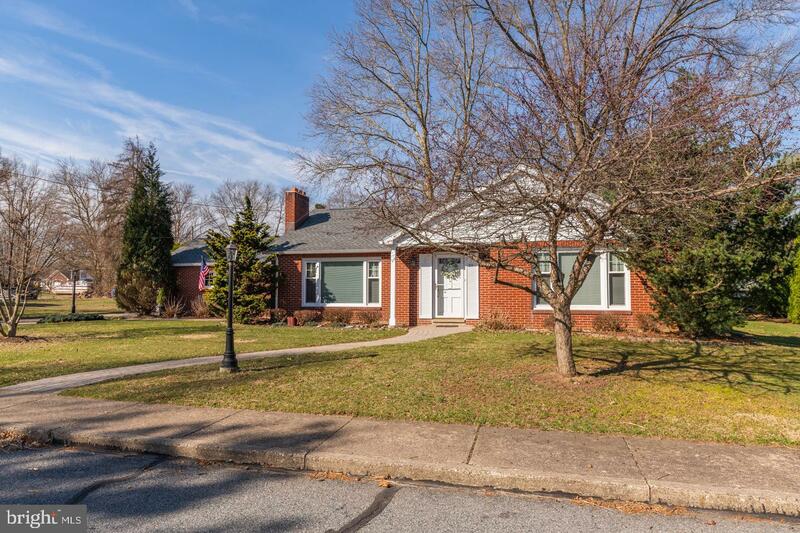 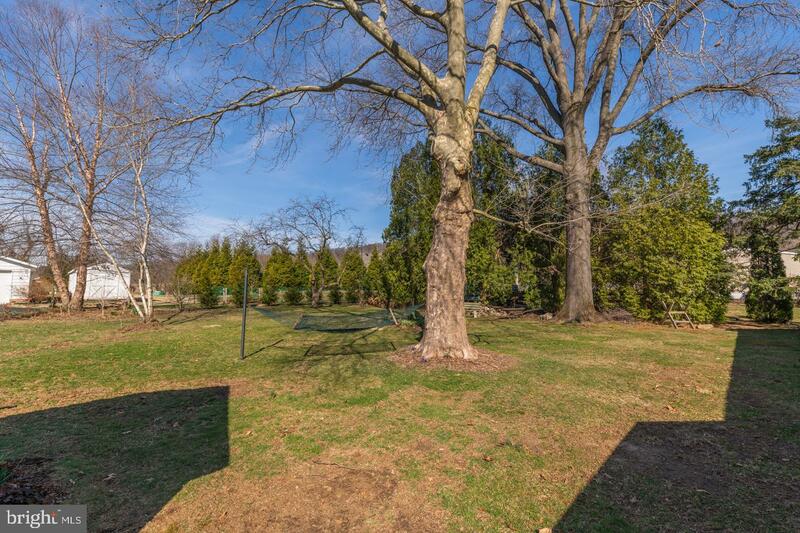 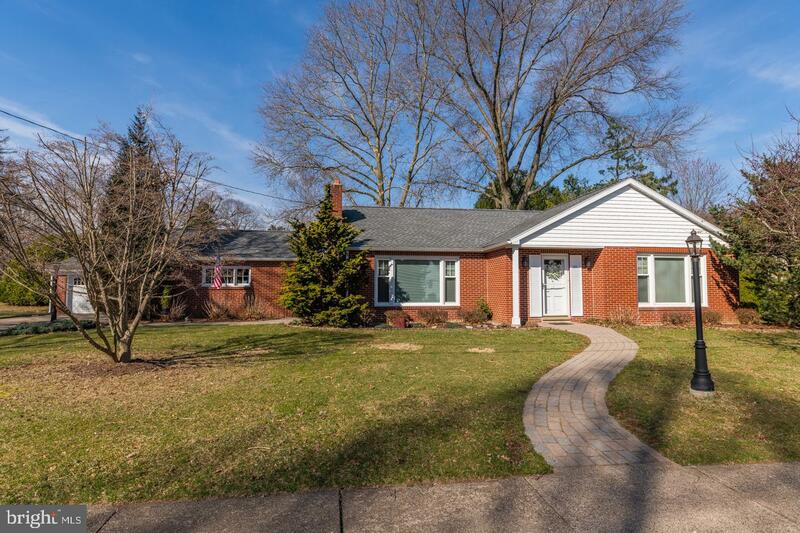 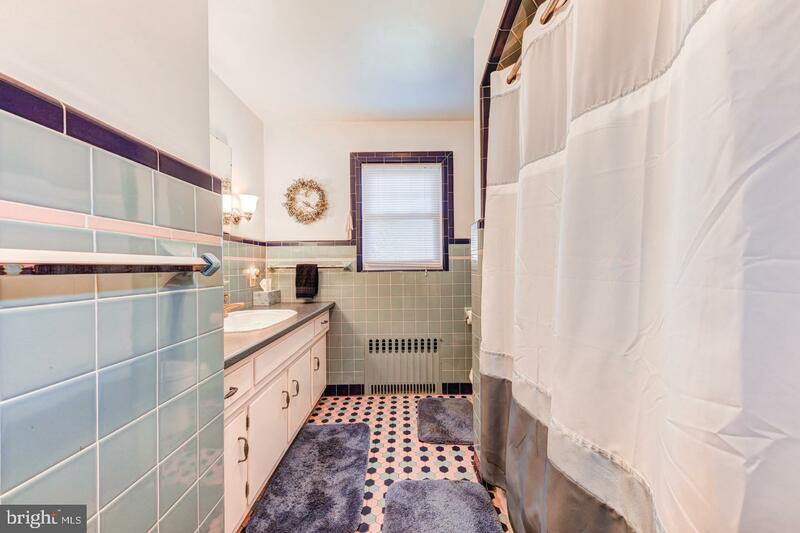 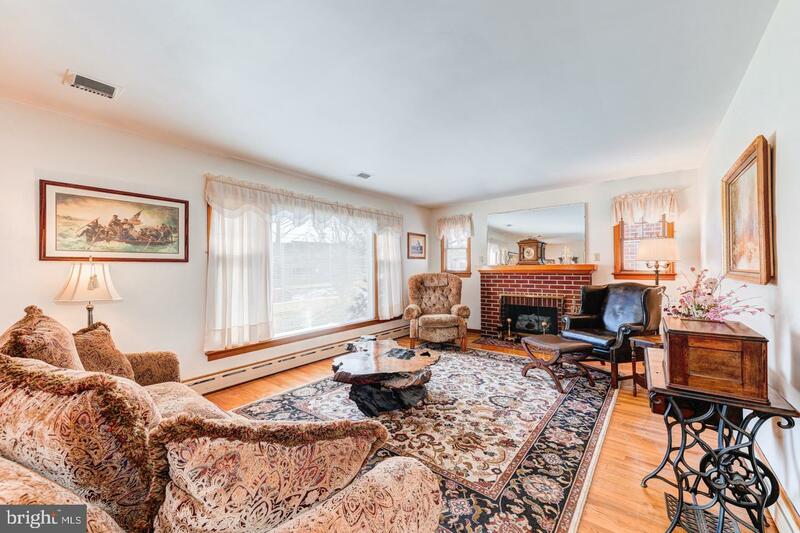 Located in The Palisades School District, Close to Major Highways, Local Recreation, Restaurants, Delaware River Boat Launch , Tow Path And Lake Nockamixon.